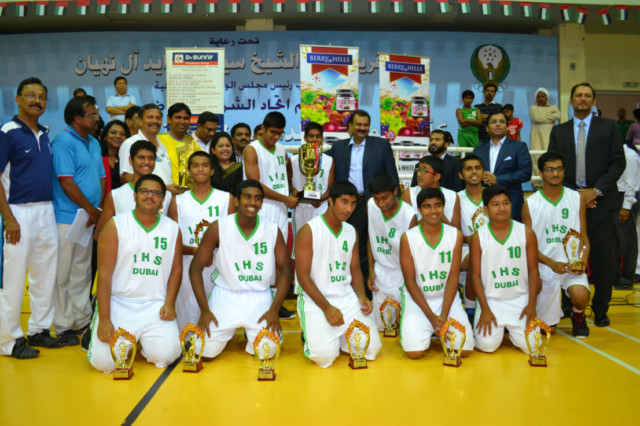 Dubai: The ANF All-Stars defeated Knights 71-56 while DPS, Sharjah beat Jaguars 48-35 to retain the men’s and women’s titles at the Berry Hills Indian Basketball League that concluded on Friday. 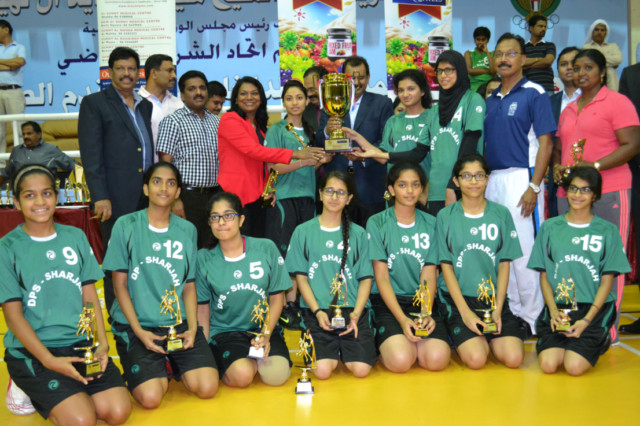 In the lower division competitions, Gems Our Own Dubai and Indian High School, Dubai won the girls and boy’s under-13 titles, while Indian High School, Dubai walked away with the under-19 inter-school competition. Shamlal Ahmad, Director, Malabar Gold and Diamonds, was joined by Dr Sunny Kurian, Managing Director, Dr Sunny Health Care Group, Suneel Aggarwal, Managing Director, GRP Industries, at the trophy presentation after the final. The two-month long tournament was sponsored by Berry Hills with support from The KEF Company and Dr Sunny Health Care Group along with GRP Industries, Skyline University College, Arabian Coast Construction Co, The Indian Academy, Lulu International Exchange, Reebok, Eiffel Printers, Blade Watches and NIMS, Dubai. The ANF All Stars jumped to an early 6-0 lead and then held on to a 14-12 advantage by the end of the opening quarter. In the second quarter, the Knights battled well with Subin hitting two three-pointers and Shajahan finding the gap in the All Stars’ defence. But they still trailed the All Stars by five points at 32-27 at half-time. In the third period, both teams were even on the scoresheet with Shajahan, Bonny and Subin doing well for the Knights to continue their pursuit at 42-47. The All stars stepped on the gas in the final quarter for a 24-14 run to seal victory 71-56. Roger was the topscorer for the champions with 17 points to be adjudged the MVP, while teammates Sidheek Razak and Manoj Abraham with 16 and 13 points chipped in. Subin led the scoring for the Knights with 23 points to pick up the topscorer of the tournament trophy. Earlier, Indian High School, Dubai rode on Ahraz Asad’s free throws conversion rate to edge past DPS, Dubai in the under-19 inter-school competition. Asad converted all six free throws as the Indian High lads kept the DPS boys at bay before edging them 68-64. It was a sweet revenge for Indian High as they had lost to DPS in their preliminary round match earlier in the competition. Asad topscored with 29 points and was awarded the Most Valuable Player (MVP) of the tournament trophy. Ishan Shoukath topscored for DPS with 31 points followed by Sharan Sakarla’s 22 points. Indian High took a narrow five-point lead at 15-10 at the end of the opening quarter, only to see DPS narrow down on the deficit and trail by two points 29-31 at half-time. Indian High managed to distance themselves and enjoy a healthy cushion at 56-44 at the end of the third quarter. The under-13 girls title was won by Gems Our Own High School, Dubai who defeated Indian High School, Dubai 30-15. Our Own led 11-6 at half-time with Delia topscoring for Our Own with 12 points while Rida Jaleel converted six points for Indian High.